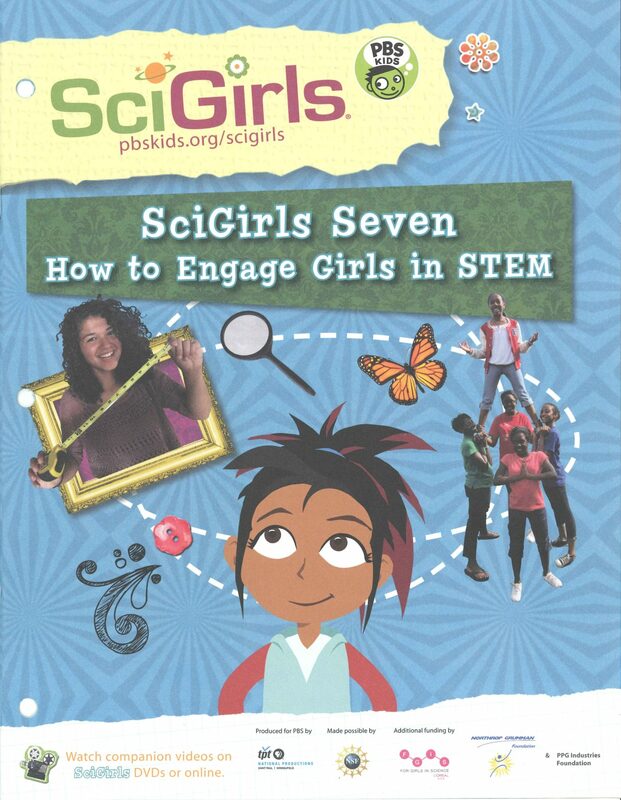 This book outlines our educational approach, rooted in what research has revealed engages girls in STEM. Yet these strategies have also been proven to work with all learners, including underrepresented youth. Everyone benefits from a gender equitable approach to STEM! Click HERE to learn more and download the full guide. Public participation in scientific research, also know as citizen science, engages ordinary people (kids and adults)in the collection of data for use by research scientists. 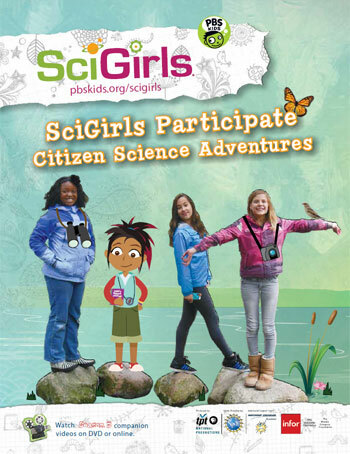 This activities in this book support and prepare your kids for participation in citizen science. The process of designing and engineering requires creative thinking. 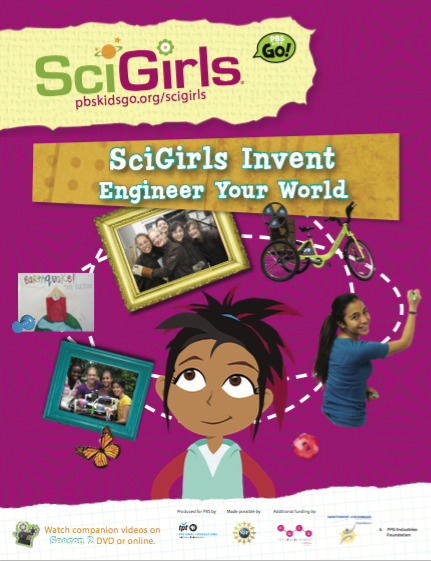 The activities in this book are designed to give girls experience sharing their inventive solutions to a variety of challenges. 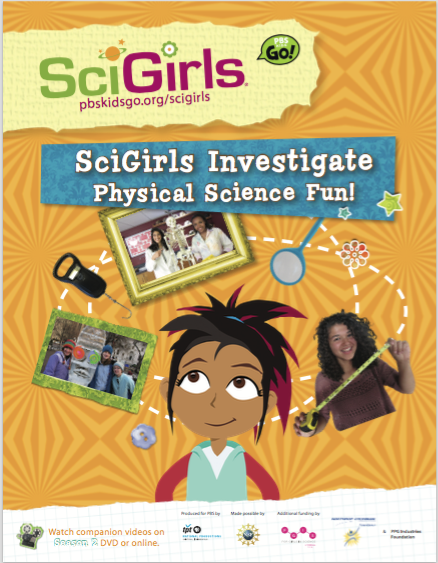 SciGirls Investigate: Physical Science Fun! The physical sciences are a fundamental part of the STEM curriculum. 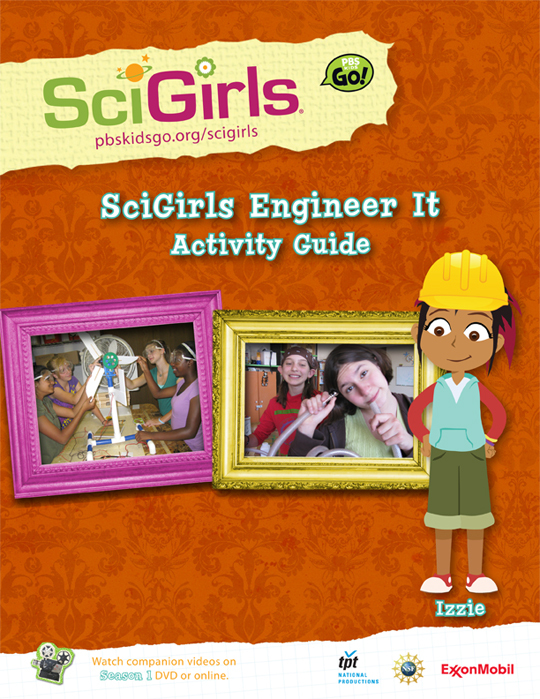 The activities in this book emphasize key process skills necessary for success in all STEM fields. 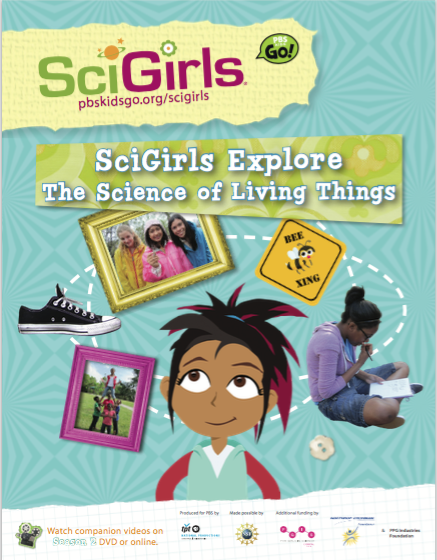 Girls can practice observing, questioning, problem solving, planning an investigation, and analyzing results. Biology, also called life science, is an extensive topic that covers every living thing on this planet, from the tiniest cell to plants to human beings. 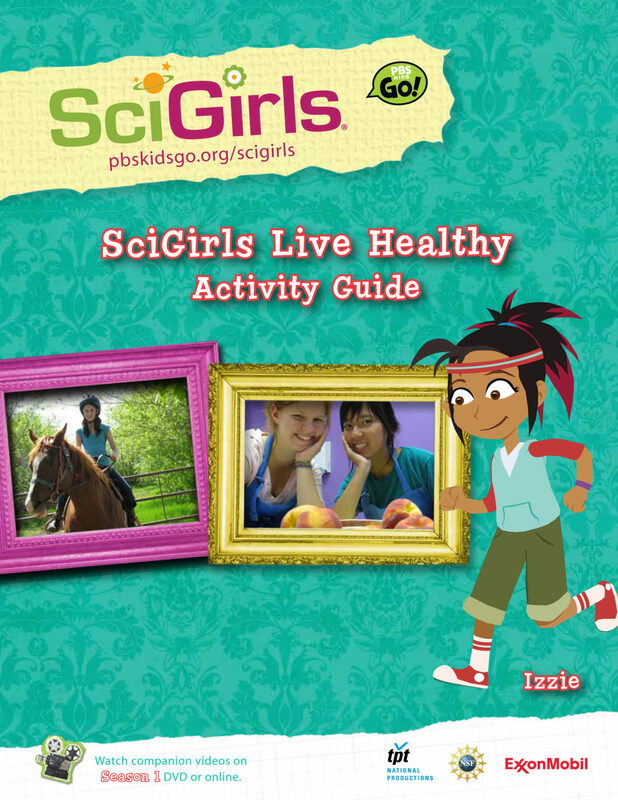 The activities in this book are designed to engage girls in life science topics directly linked to their everyday lives. Engaging girls in engineering is really about changing perceptions—theirs and ours! The activities in this booklet offer a hands-on, minds-on introduction to the design-build process. issue. 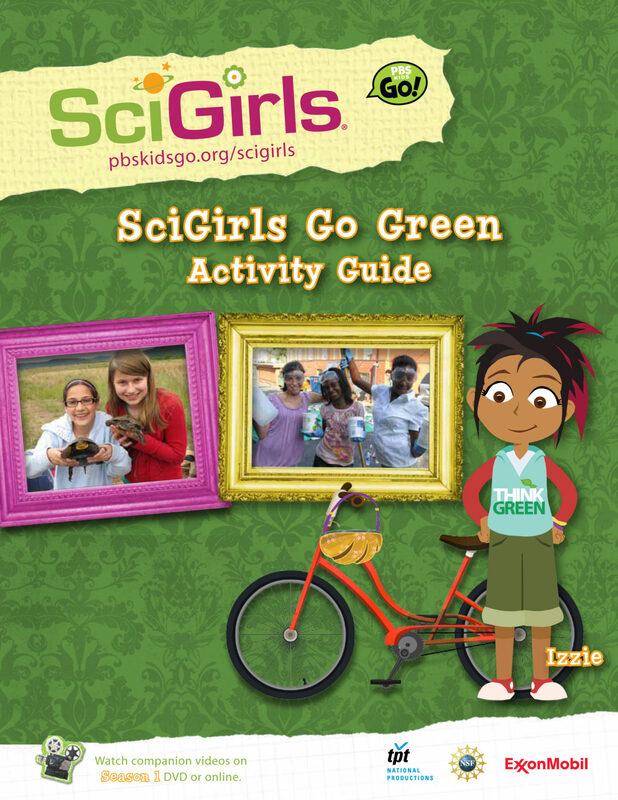 The activities in this booklet are designed to have high appeal for girls and give them hands-on experience with environmentally focused projects. These days the idea of digital natives—kids who have grown up using technology—is well accepted. So it might surprise people to know that computer science and engineering are some of the STEM (science, technology, engineering, and mathematics) careers in which women still lag behind men. 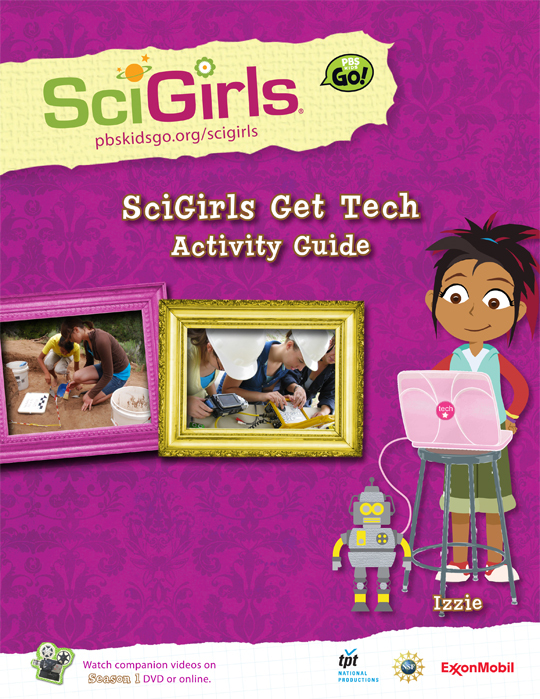 The activities in this book are designed to help curb that trend with girl-friendly, hands-on projects that serve as entrees to tech. With childhood obesity reaching alarming levels, healthy living is an important topic for kids and the adults who influence them. Collectively, the activities in this book emphasize the importance of making healthy choices by increasing girls’ awareness of nutrition and the workings of the human body.